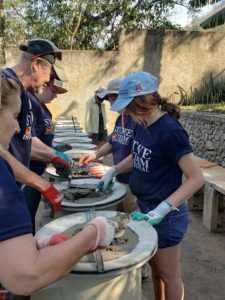 President Tom leads a team of Rotarians and family members to help build efficient, safe stoves to deliver to rural villages in Guatemala. Rotary Rocks! 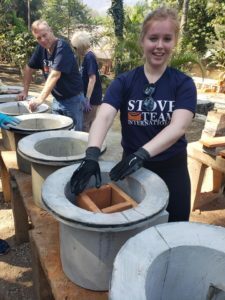 StoveTeam is a nonprofit organization that helps local entrepreneurs establish factories in Latin America. These self-sustaining businesses produce safe, affordable, fuel-efficient cookstoves to replace dangerous open cooking fires. Ecocina factories have produced more than 71,620 stoves, improving the lives of more than 537,150 people.